The bronze statue that stands in the United States Capitol. He was the heir of one of the greatest family traditions in the colonies and became the patriarch of a long line of American patriots � his great-grandfather died at Lutzen beside the great King Gustavus Aldophus of Sweden; his grandfather was one of the founders of New Sweden along the Delaware River in Maryland; one of his nephews was the military secretary to George Washington; another was a signer of the Declaration; still another was a signer of the Constitution; yet another was Governor of Maryland during the Revolution; and still another was a member of the first Congress; two sons were killed in action with the Continental Army; a grandson served as a member of Congress under the new Constitution; and another grandson was a Maryland Senator. Thus, even if Hanson had not served as President himself, he would have greatly contributed to the life of the nation through his ancestry and progeny. As a youngster he began a self-guided reading of classics and rather quickly became an acknowledged expert in the juridicalism of Anselm and the practical philosophy of Seneca � both of which were influential in the development of the political philosophy of the great leaders of the Reformation. It was based upon these legal and theological studies that the young planter � his farm, Mulberry Grove was just across the Potomac from Mount Vernon � began to espouse the cause of the patriots. Hanson, as President, ordered all foreign troops off American soil, as well as the removal of all foreign flags. This was quite a feat, considering the fact that so many European countries had a stake in the United States since the days following Columbus. Hanson established the Great Seal of the United States, which all Presidents have since been required to use on all official documents. President Hanson also established the first Treasury Department, the first Secretary of War, and the first Foreign Affairs Department. Lastly, he declared that the fourth Thursday of every November was to be Thanksgiving Day, which is still true today. The Articles of Confederation only allowed a President to serve a one-year term during any three-year period, so Hanson actually accomplished quite a bit in such little time. He served in that office from November 5, 1781 until November 3, 1782. He was the first President to serve a full term after the full ratification of the Articles of Confederation � and like so many of the Southern and New England Founders, he was strongly opposed to the Constitution when it was first discussed. He remained a confirmed anti-federalist until his untimely death. George Washington was definitely not the first President of the United States. He was the first President of the United States under the Constitution we follow today. And the first seven Presidents are forgotten in history. Elias Boudinot (May 2, 1740 – October 24, 1821) was a lawyer and statesman from Elizabeth, New Jersey who was a delegate to the Continental Congress and a U.S. Congressman for New Jersey. He also served as President of the Continental Congress from 1782 to 1783 and Director of the United States Mint from 1795 until 1805. Boudinot was born in Philadelphia on May 2, 1740. His father, Elias Boudinot III, was a silversmith and a neighbor and friend of Benjamin Franklin. His mother, Mary Catherine Williams, was from the British West Indies and Boudinot's maternal grandfather was from Wales. His paternal grandfather, Elie (sometimes called Elias) Boudinot, was the son of Jean Boudinot and Marie Suire of Marans, Aunis, France, a Huguenot (French Protestant) family who fled to New York about 1687 to avoid the religious persecutions of King Louis XIV. Mary Catherine Williams and Elias Boudinot Sr. were married on Aug 8,1729 and, over the next twenty years, had nine children. The first, John, was born in the British West Indies-Antigua. Of the others, only the younger Elias and his siblings Annis, Mary, and Elisha reached adulthood. After studying and being tutored at home, Elias Boudinot went to Princeton, New Jersey to read the law with another attorney. His mentor was Richard Stockton, who later signed the Declaration of Independence, and was married to Elias's sister Annis Boudinot Stockton. In 1760, he was admitted to the bar, and began his practice in Elizabeth, New Jersey. He owned land adjacent to the road from Elizabethtown to Woodbridge Township, New Jersey. Then, on April 21, 1762, he married Richard's sister, Hannah Stockton (1736-1808). Elias and Hannah had two children, Maria Boudinot, who died at age two, and Susan Vergereau Boudinot. Susan married William Bradford who became Chief Justice of Pennsylvania and Attorney General under George Washington. After Bradford's death in 1795, Susan came back to make her home with her father and edit his papers, which are a light into the events of the Revolutionary era. Elias's brother, Elisha, became Chief Justice of the Supreme Court of New Jersey. In 1805, Elias moved his family to a new home in Burlington, New Jersey and lived there the rest of his life. In his later years, he invested and speculated in land. He owned large tracts in Ohio including most of Green Township in what is now the western suburbs of Cincinnati. On his death, he willed 13,000 acres (53 km²) to the city of Philadelphia for parks and city needs. He was buried in Saint Mary's Episcopal Churchyard in Burlington. Boudinot became a prominent lawyer and his practice prospered, As the revolution drew near, he aligned with the Whigs, and was elected to the New Jersey provincial assembly in 1775. In the early stages of the Revolutionary War, he was active in promoting enlistment and several times loaned money to field commanders for supplies. Elias also became one of the focal points for rebel spies, who were sent to Staten Island and Long Island to observe and report on movements of specific British garrisons and regiments. To this day, much of what he organized remains a "secret" worth discovery and telling. On May 5, 1777, General George Washington asked for him to be made commissary general for prisoners. Congress through the board of war concurred. Boudinot was made a colonel in the Continental Army for this task. He held this job until other responsibilities force him to resign in July of 1778. The commissary was responsible not just for enemy prisoners, but for supplying American prisoners held by the British. In November 1777, the New Jersey legislature named Boudinot as one of their delegates to the Second Continental Congress. His duties as Commissary prevented his attendance, so in May 1778 he submitted his resignation, and by early July he was replaced and able to attend his first meeting on July 7, 1778. He maintained his concerns for the welfare of prisoners of war throughout his term as a delegate. His first term ended that year. In 1781, Boudinot returned to the Congress, and this term lasted through 1783. In 1783, he signed the Treaty of Paris. In November 1782 he was elected the President of the Continental Congress for a one year term. The President of Congress was a mostly ceremonial position with no real authority, but the office did require him to handle a good deal of correspondence and sign official documents. When the United States government was formed in 1789, New Jersey sent Boudinot to the House of Representatives. He was elected to the second and third congresses as well, where he generally supported the administration, but refused to join the growing forces that led to formal political parties. In 1794, he declined to serve another term, and left Congress in early 1795. In October of 1795, President Washington appointed him the Director of the United States Mint, a position he held until his retirement in 1805. After many turbulent decades in law and politics, he was to recall the metallurgic skill learned in his father's silversmithy. He was scrupulous in his accounting, as reported to Congress, and left the US Mint in excellent order for the future. In addition to political office Elias supported many civic, religious, and educational causes during his life. He is intimately connected with Princeton University. 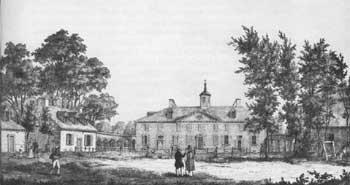 In Revolutionary times, Princeton was the College of New Jersey, and Boudinot served as one of its trustees for nearly half a century, from 1772 until 1821. When the Continental Congress was forced to leave Philadelphia in 1783 while he was its president, he moved the meetings to Princeton where they met in the University's Nassau Hall. A devout Presbyterian, Boudinot supported missions and missionary work. He even wrote "The Age of Revelation" in response to Thomas Paine's "The Age of Reason". To that end, he was one of the founders of the American Bible Society, and served as its President after 1816. He argued for the rights of black and Indian citizens, and sponsored students to the Board School for Indians in Connecticut. One of these, a young Cherokee named Gallegina Watie, stayed with him while traveling to the school. The two so impressed each other that Gallegina asked for and was given permission to use his name, and was afterward known as Elias Boudinot. Elias Boudinot Elementary School in Burlington, New Jersey is named after him. Princeton University Library has a collection of his papers and many family possessions and portraits. Boudinot Street in Philadelphia, located between C and D Streets. St. Mary's Churchyard at The Political Graveyard. Accessed August 21, 2007. Rick K. Wilson, Congressional Dynamics: Structure, Coordination, and Choice in the First American Congress, 1774–1789 (Stanford University Press, 1994), 76–80. J. J. Boudinot; The Life, Public Services, Addresses and Letters of Elias Boudinot; New York, 1896. George Boyd; Elias Boudinot: Patriot and Statesman, 1740-1821; Westwood, Connecticut, 1969, Greenwood Publishing, ISBN 0-8371-1345-8. Joseph Lee Boyle; Their Distress is Almost Intolerable: The Elias Boudinot Letterbook, 1777-1778; 2002, Heritage Books (paperback), ISBN 0-7884-2210-3. Thomas Mifflin (January 10, 1744 � January 20, 1800) was an American merchant and politician from Philadelphia, Pennsylvania. He was a major general in the Continental Army during the American Revolution, a member of the Pennsylvania Provincial Assembly, a Continental Congressman from Pennsylvania, fifth President of the U.S. Congress under the Articles of Confederation, and a delegate to the Constitutional Convention of 1787. He served as Speaker of the Pennsylvania House of Representatives, President of the Pennsylvania Supreme Executive Council and the first Governor of Pennsylvania. In Congress, there was debate regarding whether a national army was more efficient or if individual states should maintain their own forces. As a result of this debate the Congressional Board of War was created, on which Mifflin served from 1777 to 1778. He then rejoined the army but took little active role, following criticism of his service as quartermaster general. He was accused of embezzlement and welcomed an inquiry; however, one never took place. He resigned his commission�by then, as a major general�but Congress continued to ask his advice even after accepting his resignation. Prior to Independence, Thomas Mifflin was a member of Pennsylvania's Provincial Assembly (1772�1776). He served two terms in the Continental Congress (1774�1775, and 1782�1784). He then served in the house of Pennsylvania General Assembly (1785�1788). He was a delegate to the United States Constitutional Convention in 1787, as well as a signer of the Constitution . He was 5th President of the United States in Congress Assembled from November 3, 1783 � October 31, 1784. One notable act as president was the signing of the ratification of the Treaty of Paris on January 14, 1784 (Ratification Day). This legislation marked the official end of the Revolutionary War and established the sovereignty of the United States. He was a member of the Supreme Executive Council of the Commonwealth of Pennsylvania, and on November 5, 1788 he was elected President of the Council, replacing Benjamin Franklin. He was unanimously reelected to the Presidency on November 11, 1789. He presided over the committee that wrote Pennsylvania's 1790 State Constitution. That document did away with the Executive Council, replacing it with a single Governor. On December 21, 1790 Mifflin became the last President of Pennsylvania and the first Governor of the Commonwealth. He held the latter office until December 17, 1799, when he was succeeded by Thomas McKean. He then returned to the state legislature, where he served until his death the following month. Mifflin decreed that no less than six towns in Pennsylvania bear his name. Dunder Mifflin, the fictional paper distribution company, is a parody of the large number of entities named after Mifflin. Pennsylvania Historical and Museum Commission entry for Thomas Mifflin, accessed May 2, 2007. Minutes of the Supreme Executive Council of Pennsylvania, from its organization to the termination of the Revolution. [March 4, 1777 - December 20, 1790]. Harrisburg, Pub. by the State, 1852-53. Taffe, Stephen R. (2003). The Philadelphia Campaign 1777-1778. Lawrence, Kansas: University Press of Kansas. ISBN 0-7006-1267. Boatner, Mark M. III (1974). Encyclopedia of the American Revolution. New York: David Mckay Company, Inc.. ISBN 0-679-50440-0. Rowe, G. S., Thomas Mifflin: The Shaping of an American Republican (Boulder:University of Colorado Press, 1978). Tinckom, Harry M., The Republicans and Federalists in Pennsylvania (Harrisburg:Pennsylvania Historical and Museum Commission, 1950): 113-134. Rossum, Kenneth R., Thomas Mifflin and the Politics of the American Revolution (Chapel Hill: University of North Carolina Press,, 1952). For other persons named Richard Lee, see Richard Lee (disambiguation). Richard Henry Lee (January 20, 1732 � June 19, 1794) was an American statesman from Virginia best known for the motion in the Second Continental Congress calling for the colonies' independence from Great Britain. His famous resolution of June 1776 led to the United States Declaration of Independence, which Lee signed. He also served a one-year term as the President of the Continental Congress, and was a U.S. Senator from Virginia from 1789 to 1792, serving during part of that time as one of the first Presidents pro tempore. Lee was born in Westmoreland County in the Colony of Virginia on January 20, 1732. Richard was the son of Col. Thomas Lee, Hon. (1690�1750) and Hannah Harrison Ludwell (1701�1750). He was the great-uncle of Confederate General Robert E. Lee. His nephew, "Light Horse Harry" Lee earned minor fame during the Revolution, and is now mainly remembered as the father of Robert E. Lee. Richard was sent to England and educated at Queen Elizabeth Grammar School, Wakefield in Yorkshire. In 1752 he returned to Virginia, where he began to practice law. In 1757, Lee was appointed justice of the peace for Westmoreland County. In 1758 he was elected to the Virginia House of Burgesses, where he met Patrick Henry. An early advocate of independence, Lee became one of the first to create Committees of Correspondence among the many independence-minded Americans in the various colonies. In 1766, almost ten years before the American Revolutionary War, Lee is credited with having authored the Westmoreland Resolution which was publicly signed by prominent landowners who met at Leedstown, Westmoreland County, Virginia on 27 Feb 1766. This resolution was signed by four brothers of George Washington as well as Gilbert Campbell. Lee had returned to Virginia by the time Congress voted on and adopted the Declaration of Independence, but he signed the document when he returned to Congress. "The first maxim of a man who loves liberty, should be never to grant to rulers an atom of power that is not most clearly and indispensably necessary for the safety and well being of society." Col. Ludwell Lee, Esq. (1760�1836), who married Flora Lee (1771�1795), daughter of Hon. Philip Ludwell Lee, Sr., Esq. (1727�1775) and Elizabeth Steptoe (1743�1789), who married secondly, Philip Richard Fendall I (1734�1805). Mary Lee (1764�1795), who married Joshua Logan Younger (1752�1834). Hannah Lee (1765�1801), who married Hon. Corbin Washington (1764�1799), son of Col. John Augustine Washington (1736�1787) and Hannah Bushrod (1738�1801). Marybelle Lee (1768), who died in infancy. Anne Lee (1770�1804), who married Hon. Charles Lee (1758�1815), U.S. Attorney General under John Adams. Charles was the son of Maj. Gen. Henry Lee II (1730�1787) and Lucy Grymes (1734�1792). Henrietta "Harriotte" Lee (1773�1803), who married Hon. George Richard Lee Turberville (c. 1770), son of Hon. George Richard Turberville, Jr. (1742�1792) and Martha Corbin (1742). Sarah Caldwell "Sally" Lee (1775�1837), who married Edmund Jennings Lee I (1772�1843), son of Maj. Gen. Henry Lee II (1730�1787) and Lucy Grymes (1734�1792).
? Lee (1784), who died in infancy.
? Lee (1786), who died in infancy. Richard's youngest son was named for his brother Francis Lightfoot Lee, another signer of the Declaration of Independence. The younger Francis married Jane Fitzgerald on 9 Feb 1810. In 1811 he purchased the estate Sully in Fairfax County, Virginia from his second cousin Richard Bland Lee. Jane died on 25 Jul 1816, shortly after the birth on their fifth child. Richard was the son of Col. Thomas Lee, Hon. (1690�1750) of "Stratford Hall", Westmoreland Co., Virginia. Thomas married Hannah Harrison Ludwell (1701�1750). Hannah was the daughter of Col. Philip Ludwell II (1672�1726) of "Greenspring", and Hannah Harrison (1679�1731). Thomas was the son of Col. Richard Lee II, Esq., "the scholar" (1647�1715) and Laetitia Corbin (c. 1657�1706). Laetitia was the daughter of Richard�s neighbor and, Councillor, Hon. Henry Corbin, Sr. (1629�1676) and Alice (Eltonhead) Burnham (c. 1627�1684). Richard II, was the son of Col. Richard Lee I, Esq., "the immigrant" (1618�1664) and Anne Constable (c. 1621�1666). Lee County, Georgia is named in his honor. Richard Henry Lee Elementary School in Rossmoor, California and honor as is Richard Henry Lee School in Chicago, Illinois are also named in his honor. Richard Henry Lee is a key character in the musical 1776. He was portrayed by Ron Holgate in both the Broadway cast and in the 1972 film. The character performs a song called "The Lees of Old Virginia", in which he explains how he knows he will be able to convince the Virginia House of Burgesses to allow him to propose independence. David Ramsay (April 2, 1749 � May 8, 1815) was an American physician and historian from Charleston, South Carolina. He served as a South Carolina delegate to the Continental Congress in 1782�1783 and again in 1785�1786. He was one of the first major historians of the American Revolution. The son of an Irish emigrant, he was born in Lancaster County, Pennsylvania. He graduated at Princeton University in 1765, received his medical degree at the University of Pennsylvania in 1773, and settled as a physician at Charleston, where he had a large practice. During the American Revolutionary War he was, from 1776 to 1783, a member of the South Carolina legislature. When Charleston was threatened by the British in 1780, he served with the South Carolina militia as a field surgeon. After the city was captured in 1780, Ramsay was imprisoned for nearly a year at St. Augustine, Florida, until he was exchanged. From 1782 to 1786 he served in the Continental Congress, and from 1801 to 1815 in the state Senate, of which he was long president. Messer (2002) examines the transition in Ramsay's republican perspective from his History of the American Revolution (1789) to his more conservative History of the United States (1816-17). His works went from a call for active citizens to reform and improve societal institutions to a warning of the dangers of an overzealous population and the need to preserve existing institutions. In his discussion of the treatment of Indians and African American slaves he became less critical of whites and changed to reflect the views of society at large. Ramsay's increasing involvement in South Carolina's economic and political institutions and the need for stability that defined early-19th-century nationalism influenced this transformation. O'Brien (1994) argues his 1789 History of the American Revolution was one of the first and most accomplished histories to appear in the aftermath of that event. She says it challenges American exceptionalist literary frameworks by presenting itself within the European Enlightenment historical tradition, reflecting Ramsay's belief that the United States would have no historical destiny beyond typical patterns of European political and cultural development. Epic portrayals of American history in the 19th century were more the product of New England's historiographic traditions coupled with German historical thought, treating national character as a historical agent, rather than a historical result, as Ramsay suggests. Ramsay's history, then, is better considered the last of the European Enlightenment tradition than the first of American historical epics. He was killed at Charleston on May 8, 1815 by a lunatic. His History of the United States in three volumes was published posthumously in 1816�1817, and forms the first three volumes of his Universal History Americanized, published in twelve volumes in 1819. 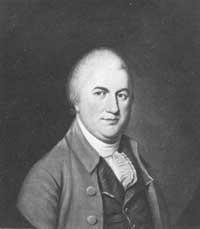 His brother was Congressman Nathaniel Ramsey, a brother-in-law of Charles Willson Peale. Ramsay married three times. He was the son-in-law of John Witherspoon and Henry Laurens, and thus was also related (by marriage) to South Carolina Governor Charles Pinckney, Ralph Izard, John Rutledge, Arthur Middleton, Daniel Huger, and Lewis Morris. Nathaniel Gorham (May 27, 1738 � June 11, 1796, his first name is sometimes spelt Nathanial)() was the fourteenth President of the United States in Congress assembled, under the Articles of Confederation. He served from June 1786 to November 13, 1786. He was preceded in office by John Hancock and succeeded by Arthur St. Clair. Gorham was born in Charlestown, Massachusetts. He took part in public affairs at the beginning of the American Revolution, was a member of the Massachusetts General Court (Legislature) from 1771 until 1775, a delegate to the Provincial congress from 1774 until 1775, and a member of the Board of War from 1778 until its dissolution in 1781. In 1779 he served in the State constitutional convention. 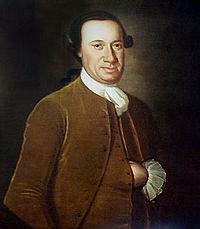 He was a delegate to the Continental Congress from 1782 until 1783, and also from 1785 until 1787. Gorham also served a term as judge of the Middlesex County, Massachusetts Court of Common Pleas. For several months in 1787, Gorham served as one of the Massachusetts delegates to the United States Constitutional Convention. Gorham frequently served as Chairman of the Convention's Committee of the Whole, meaning that he (rather than the President of the Convention, George Washington) presided over convention sessions during the delegates' first deliberations on the structure of the new government in late May and June of 1787. After the convention, he worked hard to see that the Constitution was approved in his home state. 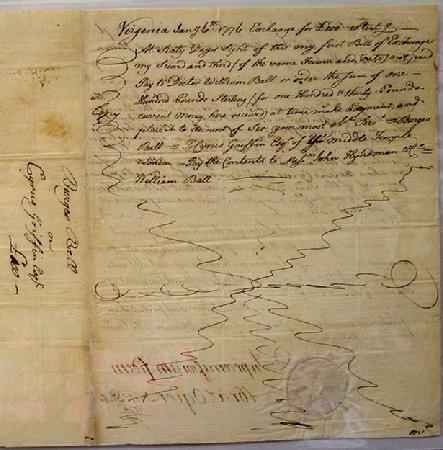 In connection with Oliver Phelps, he purchased from the state of Massachusetts in 1788 pre-emption rights to an immense tract of land in western New York State which straddled the Genesee River, all for the sum of $1,000,000 (the Phelps and Gorham Purchase). The land in question had been previously ceded to Massachusetts from the state of New York under the 1786 Treaty of Hartford. The pre-emption right gave them the first or preemptive right to obtain clear title to this land from the Indians. They soon extinguished the Indian title to the portion of the land east of the Genesee River, as well as a 185,000 acre (749 km�) tract west of the Genesee The Mill Yard Tract), surveyed all of it, laid out townships, and sold large parts to speculators and settlers. In 1790, after they defaulted in payment, they sold nearly all of their unsold lands east of the Genesee to Robert Morris, who eventually resold those lands to The Pulteney Association. Phelps and Gorham were unable to fulfill their contract in full to Massachusetts, so in 1790, they surrendered back to Massachusetts that portion of the lands which remained under the Indian title, namely, the land west of the Genesee. It also was eventually acquired by Robert Morris, who resold most of it to The Holland Land Company. Morris did keep 500,000 acres (2,000 km�) for himself, and that land became known as The Morris Reserve. Gorham died in Charlestown, Massachusetts in 1796. Arthur St. Clair (March 23, 1737 [O.S. 1736]� August 31, 1818) was an American soldier and politician. Born in Scotland, he served in the British Army during the French and Indian War before settling in Pennsylvania, where he held local office. During the American Revolutionary War, he rose to the rank of major general in the Continental Army, but lost his command after a controversial retreat. After the war, he was elected to the Confederation Congress, where he served a term as president and was appointed governor of the Northwest Territory. Disputes with Native Americans over land treaties resulted in the Northwest Indian War. In 1791, General St. Clair led an expedition against the natives that resulted in the worst defeat the United States Army would ever suffer at the hands of Native Americans. Although an investigation exonerated him, St. Clair resigned his army commission. He continued to serve as territorial governor until 1802, when he retired to Pennsylvania. Although once very wealthy, he died in poverty. In 1757, St. Clair purchased a commission in the British Army, Royal American Regiment, and came to America with Admiral Edward Boscawen's fleet for the French and Indian War. He served under General Jeffrey Amherst at the capture of Louisburg, Nova Scotia on July 26, 1758. On April 17, 1759, he received a lieutenant's commission and was assigned to the command of General James Wolfe, under whom he served at the Battle of the Plains of Abraham. St. Clair met young lady Phoebe Bayard, a member of one of the most prominent families in Boston and they married in 1760. Miss Bayard's mother's maiden name was Bowdoin and sister to James Bowdoin, colonial governor of Massachusetts. By the mid-1770s, St. Clair considered himself more of an American than a British subject. In January 1776, he accepted a commission in the Continental Army as a colonel of the 3rd Pennsylvania Regiment. He first saw service in the later days of the Quebec invasion, where he saw action in the Battle of Trois-Rivi�res. He was appointed a brigadier general in August 1776, and was sent by Gen. George Washington to help organize the New Jersey militia. He took part in Washington's crossing of the Delaware River on Christmas night 1776, before the Battle of Trenton. Many biographers credit St. Clair with the strategy which led to Washington's capture of Princeton, New Jersey in the following days. It was shortly after this that St. Clair was promoted to Major General. In April 1777, St. Clair was sent to defend Fort Ticonderoga. His small garrison could not resist British Gen. John Burgoyne's larger force in the Saratoga Campaign. St. Clair was forced to retreat at the Battle of Ticonderoga on July 5, 1777. He withdrew his forces and played no further part in the campaign. In 1778 he was court-martialed for the loss of Ticonderoga. The court exonerated him and he returned to duty, although he was no longer given any battlefield commands. He still saw action, however, as an aide-de-camp to General Washington, who retained a high opinion of him. St. Clair was at Yorktown when Lord Cornwallis surrendered his army. St. Clair was a member of the Pennsylvania Council of Censors in 1783, and was elected a delegate to the Confederation Congress, serving from November 2, 1785, until November 28, 1787. Chaos ruled the day in early 1787 with Shays' Rebellion in full force and the states refusing to settle land disputes or contribute to the now six year-old federal government. On February 2, 1787, the delegates finally gathered into a quorum and elected St. Clair as 9th President of the United States in Congress Assembled. St. Clair's tenure as President (February 2, 1787� October 29, 1787) was during an effective period, as Congress enacted both the Northwest Ordinance and the current United States Constitution. As Governor, he formulated Maxwell's Code (named after its printer, William Maxwell), the first written laws of the territory. He also sought to end Native American claims to Ohio land and clear the way for white settlement. In 1789, he succeeded in getting certain Indians to sign the Treaty of Fort Harmar, but many native leaders had not been invited to participate in the negotiations, or had refused to do so. Rather than settling the Indian's claims, the treaty provoked them to further resistance in what is sometimes known as the "Northwest Indian War" (or "Little Turtle's War"). Mutual hostilities led to a campaign by General Josiah Harmar, whose 1,500 militiamen were defeated by the Indians in October 1790. 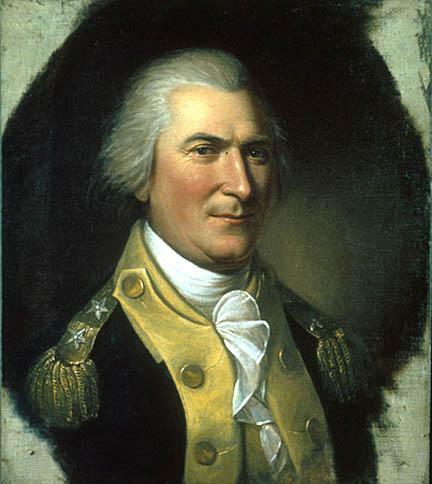 In 1791, St. Clair succeeded Harmar as the senior general of the United States Army. He personally led a punitive expedition comprising of two Regular Army regiments and some militia. This force advanced to the location of Indian settlements on the Wabash River, but on November 4 they were routed in battle by a tribal confederation led by Miami Chief Little Turtle and Shawnee chief Blue Jacket. More than 600 soldiers and scores of women and children were killed in the battle, called St. Clair's Defeat, the "Columbia Massacre," or the "Battle of the Wabash." It was the greatest defeat of the American army by Native Americans in history with some 623 American soldiers killed in action as opposed to about 50 enemy dead. After this debacle, he resigned from the army at the request of President Washington, but continued to serve as Governor of the Northwest Territory. A Federalist, St. Clair hoped to see two states made of the Ohio Territory in order to increase Federalist power in Congress. However, he was resented by Ohio Democratic-Republicans for what were perceived as his partisanship, high-handededness and arrogance in office. In 1802, his opposition to plans for Ohio statehood led President Thomas Jefferson to remove him from office as territorial governor. He thus played no part in the organizing of the state of Ohio in 1803. The first Ohio Constitution provided for a weak governor and a strong legislature, in part due to a reaction to St. Clair's method of governance. Arthur St. Clair, Patriot and a Founder of the United States of America, died in Greensburg, Pennsylvania on August 31, 1818 in his eighties and in poverty; his vast wealth dissipated by generous gifts and loans, and by business reverses, but, mainly by the refusal of Congress to reimburse him for monies that he had loaned during the Revolution and while governor of the Northwest Territory. He lived with his daughter Louisa St. Clair Robb and her family on the ridge between Ligonier and Greensburg. St. Clair's remains are buried under a Masonic monument in St. Clair Park in downtown Greensburg. His wife Phoebe died shortly after and is buried beside him. A portion of The Hermitage, St. Clair's home in Youngstown, Pennsylvania was later moved to Ligonier, Pennsylvania, where it is now preserved, along with St. Clair artifacts and memorabilia at the Fort Ligonier Museum. Gregory Evans Dowd. "St. Clair, Arthur", American National Biography Online, February 2000. Smith, St. Clair Papers, 1:2. Smith, William Henry, ed. The St. Clair Papers: The Life and Public Services of Arthur St. Clair. 2 volumes. Cincinnati: Clarke & Co., 1882. Cyrus Griffin, president of the Continental Congress. Cyrus Griffin (July 16, 1749 – December 14, 1810) was a lawyer and judge who served as the last President of the Continental Congress, holding office from January 22, 1788, to November 2, 1788. He resigned after the ratification of the United States Constitution rendered the old Congress obsolete. Griffin was born in Farnham, Virginia, in 1749. He was educated in England and in Scotland at the University of Edinburgh. While there Griffin married Christina Stewart, daughter of James Stewart, the sixth Earl of Traquair (1699-1779). This was done via a secret elopement and escape through the hills of Scotland after the Earl had forbade contact between Christina and Griffin after the suitor had announced his intentions. Estranged for many years, the Earl reconciled with his daughter via correspondence shortly before his death. He was a member of the Virginia House of Delegates and a delegate to the Continental Congress from 1778 to 1781, and again from 1787 to 1788, serving as an appeals court judge in the interim. He served as President of Congress from January to November 1788, a mostly ceremonial position with no real authority. Some amateur historians later promoted Griffin and other Presidents of Congress as the original "Presidents of the United States", but the offices are unrelated. Griffin was president of the Supreme Court of the Admiralty from its creation until its abolition, was commissioner to the Creek nation in 1789, and was judge of the United States District Court for the District of Virginia from December 1789, until his death (in Yorktown, Virginia) on December 14, 1810. He is buried next to his wife in the churchyard at Bruton Parish Church in Williamsburg, Virginia. These customs, obviously, didn't deter Cyrus as his ancestors had been aristocrats not only in Virginia but in Europe too! Maternally, he was part noble and part Huguenot as well. His grandfather was John Bertrand, the Huguenot who sought safety in Virginia. His grandmother Bertrand, Charlotte Jolie, was the daughter of a French Nobleman. Mary Bertrand married the Huguenot's son Leroy Griffin, of Rappahannock County. They were the parents of Cyrus and his sister Elizabeth, who married the wealthy Colonel Richard Adams, of Richmond Hill. This Hill was later named Church Hill, after Patrick Henry made his famous speech in Old St. John's culminating in immortal disjunctive enthymeme, "Give me liberty or give me death." The courtship did not end and became real runaway months later through the forests, over hill and dale in a wild flight from Traquair on a spring day in 1770. In the escape, the Lady Christina fell and broke her ankle. Family legend has it that Cyrus, underdetermined to let the event spoil their passionate plans, scooped her up and carried his lover through the countryside not to a doctor but to a parson. The minister, despite their disheveled appearance and her swollen ankle, united them in the bonds of British matrimony on April 29th. The default on the Bill of Exchange was eventually paid by Cyrus Griffin and this sprouted a friendship between Burgess Ball and the go getting Virginian. Griffin returned to Virginia and as a young lawyer was a staunch supporter of the patriot cause. 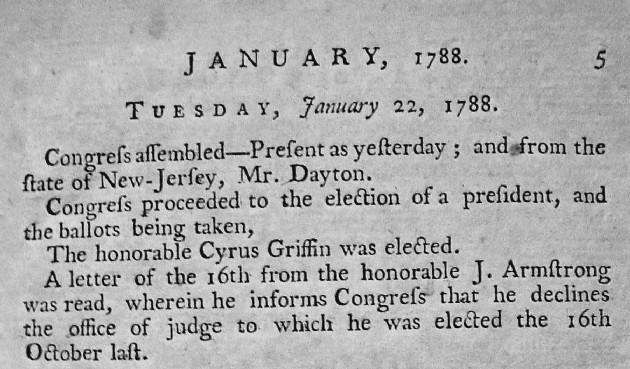 In 1777, 1778, 1786, and 1787 Griffin was elected a member of the State House of Delegates. He was also a member of the Virginia legislature. absolutely necessary that Dean should be sent over to Europe for the most valuable purpose in the world, but some Gentlemen are determined to ruin an innocent Character, notwithstanding he alone has the great merit of concluding that valuable Treaty with the Minister of France. Tell MacLurg and President Madison they are both s____ in not answering my Letters. The next I write you will be in a different stile; this only by way of preface. I must beg to trouble you with my best respects to Mr. Wythe. It appears to me that Virginia will do her part in placing things upon an adequate foundation; a large Income of Money, and a most judicious taxation. Members of Congress highly applaud your wisdom in demanding Indian Corn, Wheat, Tobacco etc. I wish to heaven such measures had been adopted many months ago by every State in the union. I have no doubt the Enemy are waiting thus long to see the downfall of our paper Credit, but even that calamitous affair would do them no essential Service; America can never be reunited to Britain; and finances with our brave and determined people are only a secondary consideration. The proceedings of Council relative to G. Hamilton etc� were received by Congress with the utmost applause; the whole matter is beautifully stated; the sentence judicious and spirited. That peace is a most desirable object no man in his senses ought to deny, but then it must be a peace honorable to America and grateful to our allies. I hope such a one will take place before Christmas next. By the violence of a giddy Multitude it would be highly disagreeable to patch up even an Independent peace at the expense of public faith and future salvation. Why are committees upon the establishment throughout all America? They have almost murdered the French Agent at Wilmington. Indeed Fisheries are too much of external nature to be fought for at present; yet in a treaty of peace I would not relinquish them; they should stand upon the common right of Independent nations. But unhappily this will not answer the purpose. The bleeding Continent must bleed still further. When I say my expectations lead to peace I do not mean that England will expressly acknowledge our Independence; the pride of George will not submit; but she may treat with us as an Independent people notwithstanding provided our demands are not unreasonable, which the French Court are in apprehension about, and therefore trust that moderation and a wellguaranteed peace ought not to be despised in our low circumstances. The Enemy with a body of five thousand men have plundered and destroyed Newhaven NB in Connecticut; they carried off the wife and children of old Shearman the member of Congress; yesterday he left this City full of anxiety and trouble; I pity the Lady and Children exceedingly, but I have no tender feelings for the old fellow on many accounts. "I do myself the honor to enclose a packet of letters which being carried by your Servant to the place directed will greatly oblige me. We thank you for the trouble of attaching a Bond executed by the late Earl of Traquair. This Letter will be conveyed by Mon. G�rard, a most valuable and most amiable Man indeed! And who has given all the satisfaction possible in his public and private Character. No doubt you were astonished how any part of Congress should wish that all the Commissioners might be recalled to Philadelphia. It was for the purpose of explaining those unhappy dissentions and animosities which have arisen among them; and tho Yourself would have left Europe at a most critical period, yet returning to France with accumulated honors after receiving the blessings of America and convincing Congress in what path to walk upon this unhappy and most disgraceful business, perhaps the whole matter impartially considered the united States would have found great benefit if such a plan had taken place. The French are a gay people and entertain a good deal; I am afraid Mon. G�rard has thought the Delegates in Congress were rather deficient in that respect; but really the expense of every article is so very enormous, and the allowance from the different states so very trifling, that a person of a handsome American fortune could not entertain frequently without absolute ruin in the period of two or three yearsand especially since some of the states think it best for their delegates to live in separate houses. In the course of conversation you would do some of us a singular favor to hint this matter to Mon. G�rard since it has the appearance of not paying proper Civilities to a man of his worth and elevated station. "I have recd. your letter dated on the 4th. No person upon Earth can be more welcome to what little satisfaction I am able to give him in the way of writing now and then. The subscription to Dunlap's paper I think is 80 dollars by the year, I shall not order that matter until you again write me for the purpose. I fancy the Enemy will attempt nothing great notwithstanding the arrival of Arbuthnot. I wish we could know with Certainty to what place the Regiments lately embarked from N. York are intended; perhaps the Count D. Estaing may fall in with them, the Count having quitted his former station. I am almost as sanguine as yourself that the presentCampaign will finish the Contest; the opposition to Great Britain is very formidable indeed; and yet when so conspicuous a nation begins to fall, perhaps she may go on to the brink of destruction, and of consequence the war may be lengthened a considerable time to come. The resolutions of Congress relative to the Army were but so many Acts of Justice; and I hope the different states will provide half pay exactly conformable to the English establishment. Congress have done and are doing all they can to appreciate the money; yet the states and Individuals can alone apply the most effectual remedy by loaning and taxation. Enclosed you will find a handsome address upon this subject; written by our president; it contains to my Judgment a great deal of sterling sense and the most solid reasoning. I do not absolutely condemn your associations: but perhaps in consequence of them you may want many comfortable private supplies. I shall take notice of what you mention about the adjutants, paymasters, and Clothiers, I thank you exceedingly and General M[uhlenberg] for a sight of those papers enclosed to his Brother [Frederick Muhlenberg]. They greatly expanded my Ideas upon the subject; our officers write and fight in the same spirit. Your circumstantial account of that affair has given me pleasure tho I feel exceedingly for your situationand yet w[hen] the public are acquainted with the whole matter as more praise will be given you as the brave and fortunate officer who executed the command. I would take a trip to Camp with the utmost satisfaction; but Smith and Fleming are setting off to Virginia, and there only remains a bare delegation." "My Colleague Mr. Mercer has charged himself with the naval Commissions mentioned a post ago in a letter from your Excellency. We have a report from the Eastward that a bloody Engagement has happened in English Channel, and that the admiral of his Britannic Majesty was sunk with sails and Colors flying; but we do not give the utmost credit to the Intelligence." Yesterday a letter was read in Congress from Colonel Brodhead with a late date at Pittsburg giving Information that some Inhabitants from the Counties of Yoghagania and Ohio had committed Trespasses upon the Lands of the Indians on the farther side of the Ohio River, which produced the enclosed Resolution." '"I have the Pleasure and Satisfaction of presenting you with the enclosed Act of Congress & Commission by which you are appointed and constituted one of the Judges of the Court of Appeals." "The appointment of Congress to the Court of appeals does me great honor. I thank them exceedingly for the confidence they repose in my Integrity and abilities, but as the nomination was unsolicited and even unknown to me, and being delegated by the state of Virginia to a very different employment I do not think myself justifiable in a peremtory acceptation of the office without the approbation of my constituents. In the mean time, the state of Virginia being so ably and fully represented without my attendance, if Congress shall think proper I will undertake the business of a Judge and endeavor to pay that attention which so important and distinguished a commission may require. I thank you, Sir, for the very polite manner in which the act of Congress has been communicated to me, and as I always profess the utmost affection for the dignified and extensive body over which you preside so believe me to be with the highest personal esteem"
"I have the mortification to inform you that the Enemy are parading the Jerseys in great force, at least with six thousand Infantry and the General says with a large body of horse also. In consequence of this movement the Commander in chief requests that major Lee may be ordered to the main army, and I suppose this morning Congress will prevent his proceeding to the southward. A Committee of Congress who have been many weeks at head quarters with very extensive powers, in concurrence with G. Washington and the marquis de La Fayette, think proper to call upon the different states for a considerable quantity of specific supplies in addition to a former resolution of Congress, and also for 22,000 militia immediately to join the northern armybut whether Congress will send forth the requisitions to the state of Virginia I cannot determine as the neighboring states will demand your utmost exertions. I suppose the great plan of finance is already happily executed; indeed the resolutions of Congress should be complied with, as a General schemefor without unanimity upon these important points our confederation will break to pieces. What ever may have been the opinions of some states in Congress, a large majority of that body ought to be regarded especially in critical times like the present. Congress have no objection that I should sit in the Court of appeals, notwithstanding my resignation be not accepted but my attendance must be dispensed with whilst acting in that commission. It is probable I shall not act in that Commission long. There has been skirmishing in the Jerseys. The militia behaved well, as yet no great mischief. The army is moving towards the enemy." "As this will be the last letter I shall have the honor of writing your Excellency in my official capacity, I hope to obtain the governor's approbation that whilst alone and at the head of the Delegation to Congress I have done my part in making those representations and giving that Intelligence from time to time, which the executive ought constantly to be informed of. I do not recollect any one matter of importance that was omitted in my communications to your Excellency and I confess as an Individual that I felt a pride and pleasure in corresponding with a great character, exclusive of that sacred duty which my honorable appointment demanded of me. The Enemy are still in the Jersey, not far from Elisabeth Town and by a letter from Lord Sterling they are considerably reinforced. They have built a floating bridge to secure a retreat to Staten Island if necessary. Two or three little battles have taken place, in which the militia fought well but have suffered greatly. I fancy the object of the Enemy was to try the force of General Washington's regular Troops. Unluckily by the experiment they find our illustrious commander unable to meet them without the aid of militia and what next? I fear they will remain in the Jersey until Clinton gets back from Charles Town, and then make a bold attempt upon the continental stores and army. I wish the French fleet and Troops were happily arrived. About fifty sail of merchantmen have got to this City within a few days past. By one of them the last night we are told that Barbadoes is taken, and probably by this time Antigua and Saint Kitts, but I cannot credit so hastily as some Gentlemen are disposed to do." "Your letter of the 6 of January was duly received and communicated to Congress, in consequence of which they passed a resolution a copy of which I have the honor to enclose." I should have written some days ago, but waited a private conveyance which at last has disappointed me. 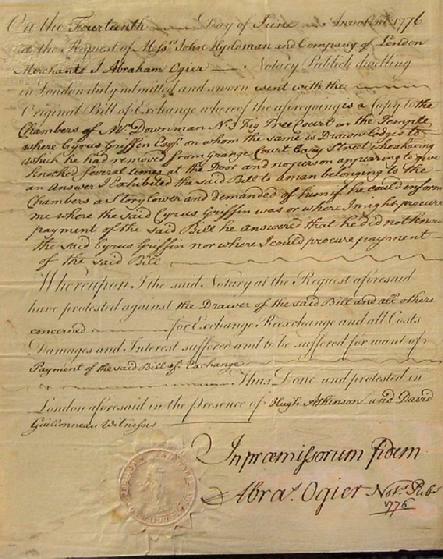 I had great difficulty in getting your little matter adjusted with the Treasury Board, because the promise of payment was to Harison only, and because not a shilling was in hand for continental purposes; however, as being preferable to nothing, You will receive enclosed a warrant upon Thomas Smith for the sum entrusted to my care. I was obliged to accommodate a little affair of my own in the like mode which has occasioned an unexpected inconveniency. For some days past I have been confined with a violent cold and disagreeable affection of the head; but as nothing very alarming is to be feared I wish my poor little woman to know but little of it. I doubt the family of Mr. Marshall's will give you and your amiable lady a good deal of Trouble; but as they are the last few months they will ever spend to the northward I hope it may be forgiven; for indeed having but little property of my own and scarcely any thing by my wife, I should not be justifiable in spending that little at a distance from my own country even for the purposes of Religion; yet in the meantime I flatter myself they will ask for any thing that may be wanting, and when the little stock is expended that you were kind enough to take charge of I will endeavor to procure them more. I make free to enclose a letter for your friendly messenger to deliver. There are but four states rep[r]esented in Congress and I see no probability of a majority for weeks to come. Our foreign correspondence contain the strongest reasons why a fixed and efficient government should be organized with all expedition." as yet be relied upon; the packets are hourly expected. A little period since our Ministers abroad were predicting a speedy war. I do not believe the affairs of Europe exhibit at this time a more pacific appearance. If the contest in Holland has terminated with peace to the provinces, France will accept the challenge from England with spirit and with equal ability. A little while and then we may determine with certainty. Do me the kindness to present my best Regards to your lady. I ought to beg pardon for having so long neglected your very obliging letter. The congratulations of a worthy man and so friendly a mind must always be acceptable to a heart of sensibility. I thank you for them; and yet I feel no addition of real satisfaction in being thus elevated, but truly and with sincerity I experience the reverse. My family are the great object I have in contemplation, and if this promotion in its consequences shall redound to the advantage of my children my utmost wishes will be accomplished, so far as private considerations are permitted to operate; at all times and upon all occasions I would sacrifice my ease to their emolument. And as to the public, it is not in my power to do any essential services, but I will discharge my duty with honesty and to the best of my abilities. C. [His wife Lady Christina] in having so amiable and intelligent a friend! And yet I am almost tired to death with this kind of life, in a croud thro' the day and solitary at night; the family must certainly be set in motion in April or May unless something material should intervene to prevent a Journey to N. York; and if then yourself and Mrs. FitzSimons can make it convenient to spend some time with us how extremely rejoiced I should be; in point of health the excursion might be of service to your kind lady, and would add greatly to the pleasure of those who admire and love her. The proposed constitution now stands upon a firm basis; the ratification of Massachusetts will carry it triumphantly throughout. N. Ham. will presently adopt it. Maryland and South Carolina by large majorities in convenient time; N. York, Virginia, and N. Carolina must find their concurrence indispensably necessary; and even Rhode Island in all probability will soon be deliberating. Colonel R. H. Lee and Mr. John Page, men of Influence in Virginia, are relinquishing their opposition; but what to us is very extraordinary and unexpected, we are told that Mr. George Mason has declared himself so great an enemy to the constitution that he will heartily join Mr. Henry and others in promoting a southern Confederacy; Alas! how inconstant is the mind of man. All the European Information of a public nature has been communicated in the newspapers. That two chaplains be appointed for Congress whose salaries shall not exceed three hundred dollars each per Annum to commence from the day of their appointment, so it was resolved in the affirmative. Congress proceeded to the election and the ballots being taken Doctor Provost and Doctor Rogers were elected. GRIFFIN, Cyrus, jurist, born in Farnham, Richmond County, Virginia in 1749; died in Yorktown, Virginia, 14 December 1810. He was educated in England studying law at the University of Edinburgh and at the Temple in London. While in England Griffin courted nobility and married a Lady Christhena, daughter of John Stuart, sixth Earl of Traquair. He returned to Virginia and as a young lawyer gave early adhesion to the patriot cause. Griffin was elected a member of the State house of delegates in 1777, 1778, 1786, and 1787. , was a member of the Virginia legislature. May 1 Fails to achieve quorum. May 2 Receives treasury report on proposed new Dutch loan, three war office reports on Indian affairs, and ten communications from the secretary for foreign affairs. May 5 Receives reports on western land issues. May 8 Elects Jonathan Burrall and Benjamin Walker commissioners for settling the accounts of the five wartime departments. May 20 Authorizes fortnightly posts between Philadelphia and Pittsburgh. May 21 Receives treasury report on coinage. May 22 Orders institution of suits to collect outstanding Continental accounts. May 26 Receives treasury report on western land contracts and war department report on settler violations of Cherokee treaty rights. May 27-29 Debates western land ordinance amendment. May 30 Debates Kentucky statehood in committee of the whole. June 2 Receives committee of the whole report recommending Kentucky statehood. June 3 Elects grand committee on Kentucky statehood. June 5 Fails to achieve quorum. June 6 Authorizes survey of New York; Pennsylvania boundary preparatory to granting Pennsylvania greater access to Lake Erie. June 9 Directs treasury to submit 1788--;89 fiscal estimates. June 12 Receives report on land reserve for French settlers in the Illinois country. June 13 Responds to French protest against Virginia's harboring a French pirate. June 17 Receives war office report on manpower and recruitment. June 18 Receives report opposing state inspection of the mails. June 19 Debates western land ordinance amendment. June 20 Elects Joseph Martin Continental agent to the Cherokees; authorizes negotiation of western land contract with George Morgan associates. June 24 Authorizes three-month extension of Continental claims. June 25 Abolishes office of inspector of Continental troops. June 27 Debates report on Georgia--;Creek Indian affairs. September 1 Condemns settler encroachments on Cherokee lands. September 2 Debates report on implementing the Constitution. September 3 Reserves Ohio lands of Christian Delaware Indians; rejects motion to establish capital at Annapolis. September 4 Debates report on implementing the Constitution; confirms land contract giving Pennsylvania large tract bordering Lake Erie. September 8 Receives John Jay report on negotiations with Spain concerning the Mississippi question. September 13 Adopts plan for implementing the Constitution. September 16 Recommends that states ban importation of felons; directs suspension of negotiations concerning the Mississippi question. September 18-24 Fails to achieve quorum. September 26-29 Fails to achieve quorum. September 30 Receives report on treasury department inquiry. October 1 Rejects Silas Deane settlement of Beaumarchais' accounts. November 1 Fails to achieve quorum. November 3 Assembles for the new federal year---;only two delegates attending. November 15- 1789 March 2 Secretary Charles Thomson records occasional attendance of 17 additional delegates. President's Griffin social status as US President in New York was second to none under the Articles of Confederation. His office, English education, and marriage to nobility solidified his status as the pinnacle of society among his nation's legal elite. Lady Christhena's state parties for foreign dignitaries were legendary. The Griffin's set the benchmark for Presidential entertaining that wasn't surpassed until well into the next century. At some convenient hour I hope you will give me your opinion upon the prospect of the new-Constitution; the Elections now finished. The Courtiers are ridiculing our situation very much, and say upon all occasions in a laughing manner that when the united states shall assume some sort of Government then England will speak out. Gentlemen are perpetually calling to know what will be the event of the Constitution in Virginia---;do, my kind friend, at this particular crisis write to me from time to time that I may give the best information upon the subject. I am honored by your excellency's letter of the 13th of Feby(1) only this morning. I did not understand that any person was appointed to come forward with the accounts of the State against the united States, or most certainly myself would not have been mentioned. (2) Colonel Davies is a man very proper to answer the purpose, and I think will be found extremely useful. The Board of Commissioners met on the 17th of January, and are now ready to act upon the business of their destination. I am favored also with the Returns of nine of the Representatives of Virginia enclosed by your excellency, which I shall deliver to Colonel White, the only member at present from that State. There are only eight Senators and 18 Representatives assembled---;a very unfortunate thing. After the presidency Griffin was apoointed president of the Supreme Court of admiralty from its creation until its abolition, was commissioner to the Creek nation in 1789, and was judge of the First Federal Appeals Court for the district of Virginia from December, 1789, until his death in Yorktown on December 14, 1810. He is interred with his wife, Lady Christhena, in Bruton Churchyard, Williamsburg, Va.
JOHN GRIFFIN, son, born 1770 and in Philadelphia on Friday the 3d of August 1849, Judge , in the 79th year of his age. He was a man of nobility, of fine education, and great intelligence and uprightness of character. He received the appointment of U.S. Judge for the Northwest Territory, from the elder Admis, and at the time of his death, was the nearest male heir, in the line of entail, to the Earldom of Traquair, in Scotland, his mother having been the Lady Christhena Stuart, of that ancient house. 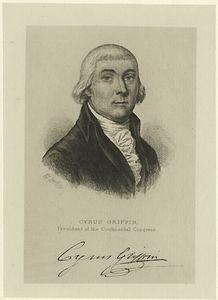 GRIFFIN, Cyrus, jurist, born in Virginia in 1749; died in Yorktown, Virginia, 14 December 1810. He was educated in England, and while there married a lady belonging to a noble family. He gave early adhesion to the patriot cause, was a member of the Virginia legislature, a delegate to the old congress in 1778-'81 and in 1787-'8, and was president, in the latter year. He was president of the Supreme Court of admiralty from its creation until its abolition, was commissioner to the Creek nation in 1789, and was judge of the United States court for the district of Virginia from December, 1789, until his death. Who Was Really the First President of the United States.